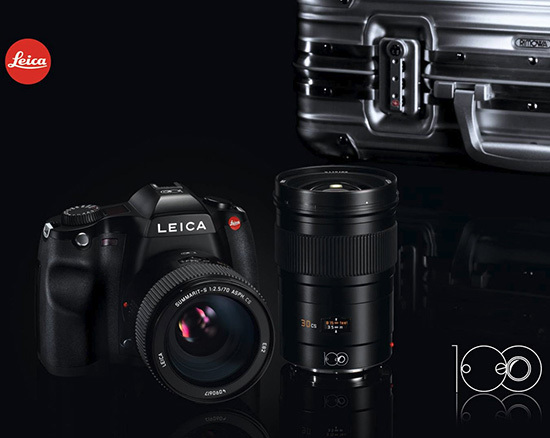 Leica Camera released a new Leica S set to commemorate the company's 100 years anniversary. The limited edition set will include the Leica S type 006 camera, Summarit S 70mm f/2.5 CS, Elmarit 30mm f/2.8 CS lenses and Rimowa Topas Multiwheel Cabin Trolley. All items will have a 100 years engravings. The price is $34,500. Total: $36,295 (without the Rimowa Topas Multiwheel Cabin Trolley) - basically you are saving around $2,000. On the occasion of this very special anniversary, 2014 will see not only numerous events, but also a series of centennial editions. These products are a testament to Leica’s 100 years of innovation and dedication to excellence in photography since Oskar Barnack’s invention of the first Leica, “Ur-Leica” in 1913/1914. The first of these special centennial editions is the Leica S 'Edition 100'. 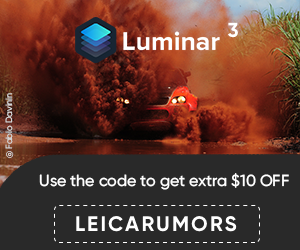 This centennial edition comprises a Leica S (Typ 006) medium-format system camera and two of the most popular S lenses, both with a central shutter, offering exceptional versatility in a wide range of situations - the Leica Summarit-S 70mm f/2.5 ASPH CS and the Leica Elmarit-S 30mm f/2.8 ASPH CS. The Leica Summarit-S 70mm f/2.5 ASPH CS is ideal as a standard focal length for many photographic applications. Its extreme speed and outstanding imaging performance guarantee outstanding results at all apertures and distance settings. The angle of view of the Leica Elmarit-S 30mm f/2.8 ASPH CS corresponds to that of a 24mm lens in 35mm format and opens up new creative horizons in image composition - in particular for architectural and landscape photography. A particular feature of the centennial edition is the special engraving - the centennial logo - which appears on the body of the Leica S and on both S lenses. The products in this set are supplied in a Leica version of the Rimowa Topas Multiwheel Cabin Trolley in bright aluminum with high-quality inner compartment and thanks to its compact size, the case is ideal for use as hand luggage on flights. In addition when packed in the case, the camera and lenses are safe and sound - even when shooting on location under extreme conditions. This entry was posted in Leica S and tagged Leica Limited Edition, Leica S edition 100 years. Bookmark the permalink. Trackbacks are closed, but you can post a comment.